Having been to Italy, I can tell you that the “old-school Italian” joints we are familiar with here are nothing like the real deal. Their menus are built on the Americanized mantra of pizza, pasta with tomato sauce, and sandwiches. You’d be lucky to find much else on the menus at these spots, which captures only a fragment of the vast delicacies Italian cuisine encompasses. There is so much more than “tomato gravy” and “slices of pie” that the boot-shaped peninsula has to offer. The breadth and depth of regional fare that makes every segment of the country you travel to unique is significant, to the point of re-imagining the average American’s experience with true Italian food. Food Network star Giada De Laurentiis understands this well. Her food recommendations to those traveling to Italy change depending on what folks want to eat, because, as she told Foodbeast, “it’s a very regional country. If you're a red wine lover and meat lover, go to Florence. Florence is very meat-oriented. If you're looking for fish and white wine and tomatoes and olive oil, go south.” Even the pasta types can change by region, as De Laurentiis describes southern pasta as more durum-based and chewier, versus the softer, eggy noodles you’ll find up north. There’s a movement of Italian specialists looking to present that regionality to the US and move us past the stereotypes of pizza and tomato sauce. From the constantly-rotating tour of Italy at Philadelphia’s A Mano to the modern refinement of San Francisco’s Perbacco, these culinarians are attempting to convince the nation to look beyond the norm and dive deep into an intricate world of tastes, textures, and sensations. Duck Breast with rhubarb, pistachio, beet and treviso. At Philadelphia’s A Mano, for example, you can get a gastronomic tour of Italian fare you may not have been exposed to before. Everything is made by hand, as the restaurant’s name implies, and the regions of Italy available to sample change with the season. For example, you can find dishes native to northern parts of Italy, like hearty eats from the Alps, in the winter. In the summer, though, southern Italy’s brilliance is on full display with the spices of Calabrian chile. The chef-owner here, Townswend Wentz, is more known for his French flair, and it shows in some of the dishes. However, one of his chefs, Michael Millon, has been given reign of the kitchen, and bringing the best of Italy’s seasons from around the country into the beloved Philly spot. 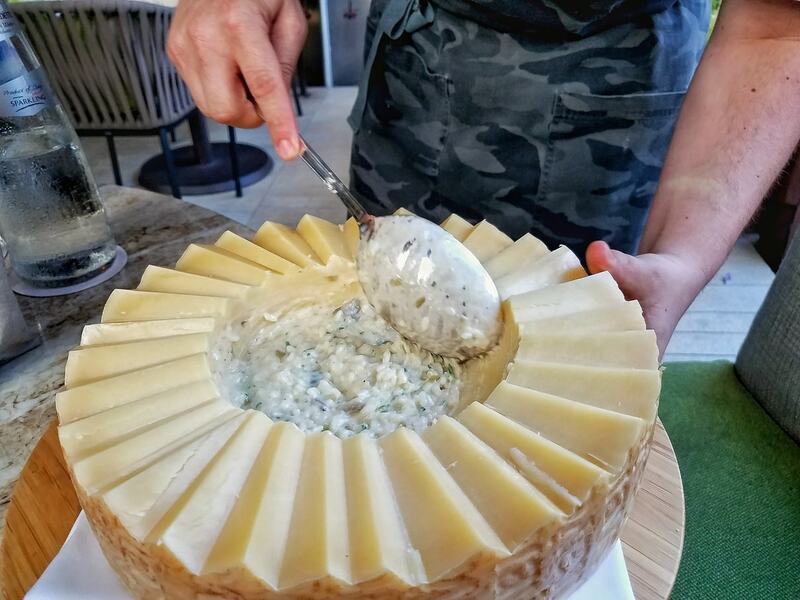 Local critics were impressed with the authenticity and finesse behind dishes like a honeycomb tripe with guanciale (pork cheeks) and chickpeas, or branzino filet with turnip rounds, nduja (a spicy, spreadable salami) vinaigrette, and orange. When dishes sound this exciting to eat just on paper alone, it’s easy to see why a place like A Mano stands out. It’s seasonal appeal with a high-end twist creates an environment open to those Americans wanting to branch out from their version of Italian comfort. It’s a great progression in the ongoing mission to present the true regional flavors of Italy to the United States. One chef that executes this mission to perfection is Luca Moriconi. 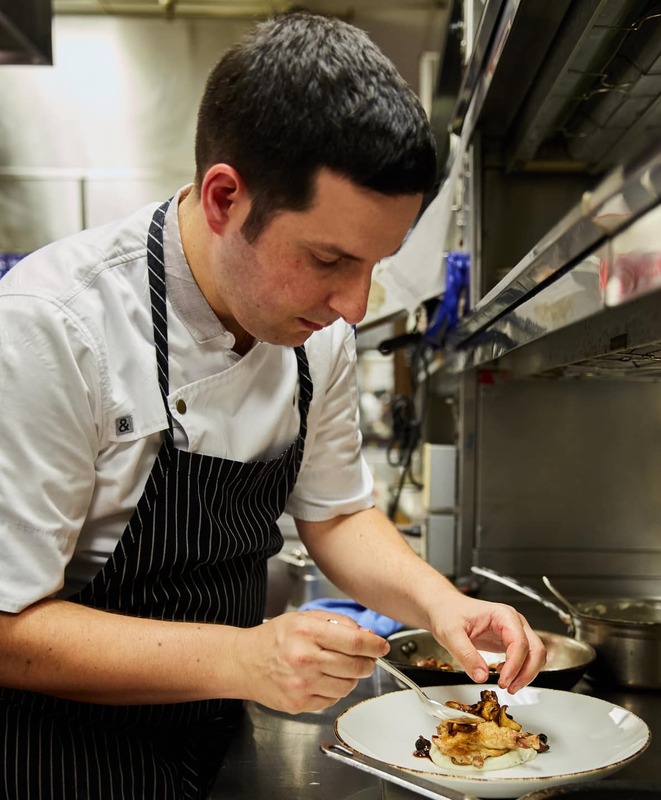 His modern approach to the native Tuscan foods he grew up on results in a refined yet rustic menu at Culina, his spot at the Beverly Hills Four Seasons. Moriconi’s menu is one that displays several different approaches to crafting a dish. Sometimes, like with his pappardelle and wild boar sugo, he’s drawing from his background and heritage. Other times, he tinkers with fresh, local ingredients, like imbuing California artichokes into his Risotto al Carciofi. The changes in inspiration give a modern twist and adds Moriconi’s identity to the plate. The one thing that is consistent across his menu — and Italian cooking, for that matter — is letting simplicity reign. Individual ingredients lend their native flavors to harmonize in cohesive and often unexpected flavor combinations. At Culina, you’ll find that in dishes like the Sformatino di Bietole, a savory “flan” of Swiss chard where the “vegetable is the protagonist,” as Moriconi put it to Foodbeast. The dish is few in ingredients, yet each one, from the sharp pecorino romano to the powerful aroma of shaved truffle, adds notes of umami, fruitiness, and tang that blend together into the perfect accompaniment to the earthy chard. While a savory “flan” sounds like something upscale and nouvelle, the Sformatino is actually a traditional Tuscan dish. 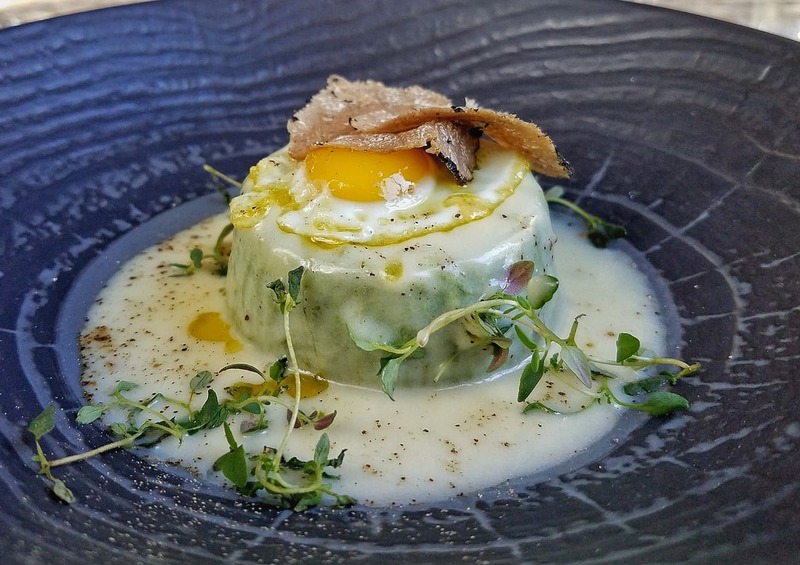 Sure, the Culina version has some modern additions like a quail egg and truffle, but that’s just a testament to Chef Moriconi’s tribute to tradition while adding elegance and his own personal touch. It’s not just the sformatino at Culina that encompasses this philosophy. Nearly every dish plays on that simplicity with a touch of flair. 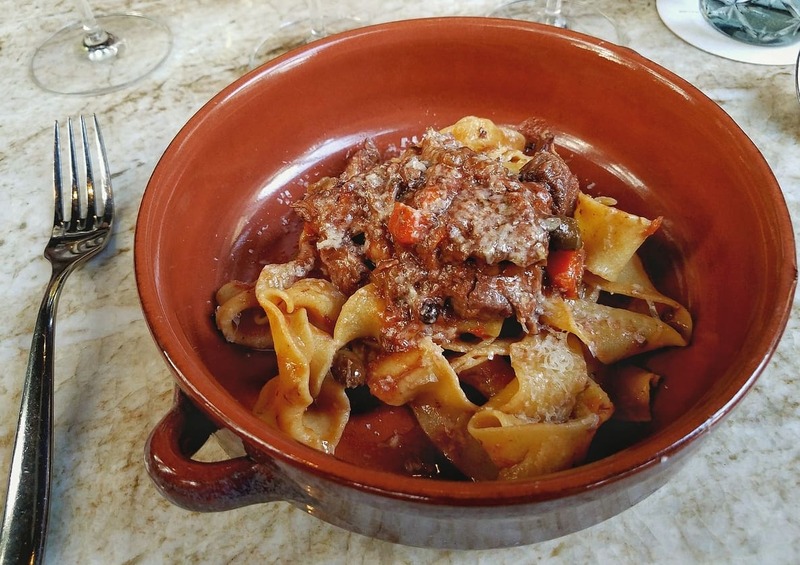 That includes the wild boar sugo, based on the meat Chef Moriconi’s father used to hunt and served with fresh made pappardelle. 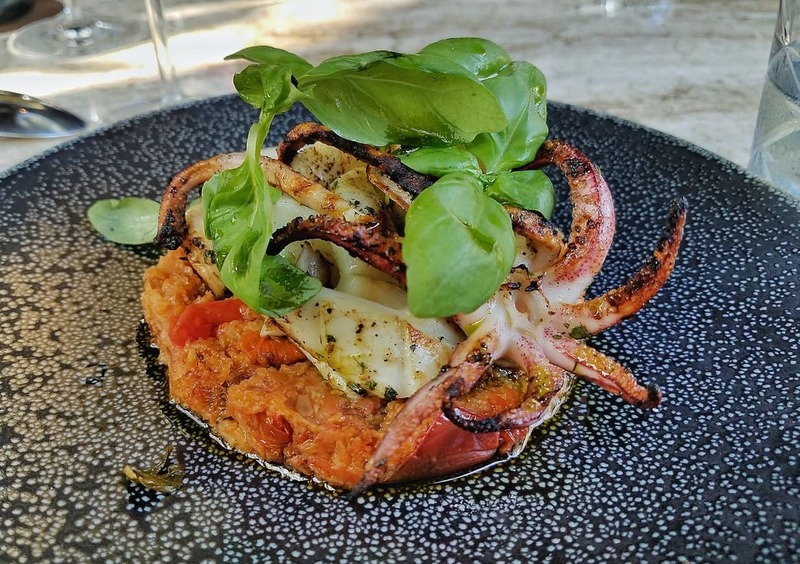 There’s also a pomodoro sauce that Moriconi reimagined into a savory tomato bread pudding, topped with perfectly charred pieces of grilled calamari. 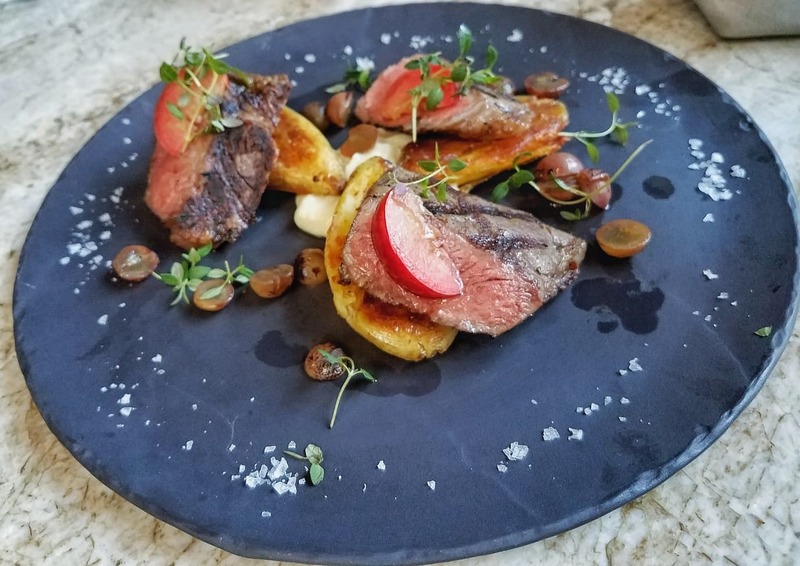 And the L.A. Tagliata — a New York Strip that gets served with grapes, herbs, and parsnip puree — proves that steak and fruit can pair together in a delicious harmony. That touch of refinement to an otherwise rustic menu is the model that several other Italian chefs around the country are following. It allows them to introduce regional Italian cuisines in a new light and get people thinking beyond the standard tomato sauce. A long-time standard bearer of this model is Perbacco, who has become a fixture of San Francisco’s dining scene in the past decade that it’s been open. Perbacco’s ownership inspired its mouthwatering tributes to Piemonte cuisine, a northern Italian region known for its hearty wines, rich braises, and raw, cured meats. Proprietor and host Umberto Gilbin is from the region, and has melded that authenticity with the culinary skills of Chef Staffan Terje. Gilbin is from Torino, which is inside the Piedmont region of Italy. He’s previously described Piemonte food as “sophisticated” with “a little more intrigue in the cuisine” compared to the rest of Italy. That "intrigue" has spread its way across Perbacco’s menu to create some unique dishes that add a modern twist to tradition. Chief amongst these is the Agnolotti Dal Plin, which takes the rusticness of a game meat stew and plops it into perfect little pillows of pasta. The Fritto Misto utilizes traditional Italian flavors like fennel and lemon, then throws in a Spanish curveball with piquillo peppers. And Perbacco’s Rabaton, a traditional Piedmont spinach and ricotta gnocchi, are elevated with elements like a cherry tomato sugo and marjoram compound butter. Each of these dishes comes with the sophistication of Piedmontese tradition, but adds a tiny extra element in that throws your tastebuds for a complete loop. It’s how Perbacco and other restaurants like it can spread the word of regional Italian food: presenting tradition with a memorable twist to leave you talking about it for weeks to come. It’s important that passion comes first so that America has a chance to sample these unique regional cuisines that would otherwise be untouched. Sure, we love to visit Rome, Florence, and other major Italian cities. But we also leave many culinary stones unturned by passing on cities like Naples and regions like the Amalfi Coast. Imagine tasting tried and true Italian fare that takes you through the country on a culinary adventure, right through the areas that tourists rarely explore, like the pristine Amalfi Coast. This is what chefs like Moriconi accomplish with their menus that give us a taste of these parts of Italy. Presenting their native cuisines allows us to look beyond the tourist-centric destinations and crave more than just pizza, pasta, and marinara sauce from Italy. Instead, we’ll be searching for sformatino, the savory “flan” that you’ll be hard-pressed to find in any other country’s historical cookbooks. And the thought of spinach and ricotta-stuffed rabaton will make us question why these haven’t exploded in popularity in the United States. Thanks to these masters of their native cuisines, there are realms of Italian flavor that are finally coming to light, like a lost comestible civilization whose secrets are now being revealed. And so far, across the country, they are doing a fantastic job in sharing their world with us.